Chris Pratt is one of the best working actors today. The fire trail he has left over the last few years is something we rarely see. His ability to adapt to any role is second to none, and while I could personally watch him sit at a bar and talk to the bartender for an hour, pairing him with a unique co-star is when he’s at his best. Now a new name will be added to a list that includes Zoe Saldana, Denzel Washington and Bryce Dallas Howard. Sources have told Collider that Priyanka Chopra of Quantico and Baywatch is in talks to join Pratt in Unversal’s upcoming live-action adaptation of Cowboy Ninja Viking. Michelle MacLaren of both Breaking Bad and Game of Thrones will be directing the project that’s based on the popular graphic novel of the same name by AJ Lieberman. Pratt is set to star as Duncan, an assassin who embodies the skills of three different personas: a cowboy, a ninja and a viking. It’s said Chopra would be playing Sara Nix, a psychologist who’s monitoring Duncan, but may or may not be a love interest as well. Thanks to her time on Quantico, Chopra broke out in Hollywood after being a star in Bollywood for many years. Her Quantico producer Mark Gordon is producing the film alongside Pratt and Michael De Luca, which has given her the perfect opportunity to show her chops alongside another movie star (Dwayne Johnson in Baywatch). The original script was written by Deadpool screenwriters Paul Wernick and Everett David Reese, but since then has most recently been rewritten by Dan Mazeau (Wrath of the Titans) and Ryan Engle (Rampage). Outside of Wernick and Reese, none of the names give me any kind of confidence in the project. Luckily, Pratt is part of the producing team and having MacLaren as director is the ultimate key. She’s just been waiting for a big film project, and while her name has popped up plenty of times before, she landed on this one for a reason. I’m looking forward to seeing her team up with Pratt and Chopra and bring this story to the big screen after helming some of the best TV episodes of all times. What do you think of this news? Is this a project you’re looking forward to? How do you like the sounding of Pratt and Chopra teaming up? What about MacLaren directing? 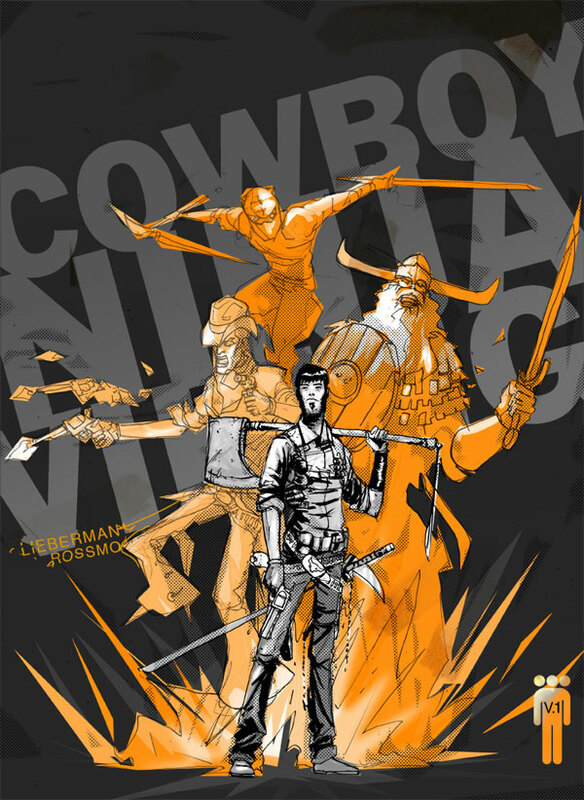 Cowboy Ninja Viking will be released on June 28th, 2019.